Forums Arena Discussion Is heartharena cheating? Except you need to put in some effort researching this stuff. Heartharena literally tells you what card to pick taking your existing cards into consideration. That is A LOT of work done for you. It is not cheating, It gives advantage. 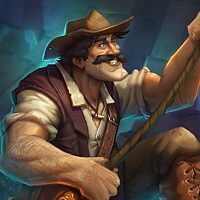 Hearth arena is bad on synergys and overall balance of the deck. That is very difficult to program other then linear synergys where you give bonus to x if already y in deck. But synergy and balance is much more then that. The information is readily available on the internet. You are basically asking "experts" what they think is the best card, and using a formula to weigh the "experts" preset values of each card accordingly in regards to curve, synergy and archetype. This "formula" again is developed by regular people and there no way to test or prove it is accurate. You are trusting the advice of these people, taking it and trusting in their formulas and values is up to your own risk. The draft does not guarantee anything since the program. Is it cheating to look on the internet while you draft ? Is it cheating to have a friend watch you play and discuss your draft with you ? Blizzard does not view these programs as cheating FYI. Quoted as saying "anything that can be done with pen and paper" is okay. All it does is save people maybe a dozen drafts searching through charts to figure out what the better cards are at each mana slot. It's nothing you wouldn't pick up after about a month. if you look at the current state of the game where u have 877 collectible cards and nearly all acessible in arena it would be pretty astonishing if you can pick up on everything after one month. it would mean that u skip those 0-3, 1-3, 2-3 runs that most people have at the beginning. also it would mean you dont spend gold on packs (doubtful). if you think about just how long it would take to have seen every common and rare card by grinding arena, you'll realize that ur proposed timeframe is a bit unrealistic. im not sure how serious your estimation was, but it seems to show how the human mind fades out negative experiences. looking back we often say: "wasnt that bad after all" when while were at it it seems exhausting. It is CLEARLY cheating. Because time is a factor, even when it's about something that doesn't appear to have a time limit. Consider this: if you were to replicate the advantage received by the tool, you'd have to check at least a couple different arena rating sites, and it takes much more time than the 3-5 seconds it takes the value to pop up next to the 3 cards. Moreover, the value alone is FAR from making that card the best pick. How many times the program suggests you pick a card that is NOT the highest rating, because of your curve and synergies? Very very ofter, especially past pick 10-15. So a player who is bad at arena and unwilling/unable to dedicate time to research (to learn values) and playtesting (to learn the curve and the synergies) can just skip such process (may even never really learn WHY said pick is the best, will just memorize the program choices) and jump in with a well built, balanced and consistent deck. Still averaging a fairly low 4 wins, sure, but it's still 2 average wins above his actual skill level. Is this fair? That 2 wins come from the player and 2 from a third part program? It's cheating. But! Blizzard is actually very much ok with it! Because together with the tuned down rewards in arena it makes it harder for infinite players to go infinite, while slightly bumping up the newbies, so that overall the house wins more and the players receive less gold/rewards. That you don't know what cheating is. The sites are available to everyone. There is no deceit, fraud, tricks, rule breaking, etc. Educating yourself on the value of different components to something before deciding/choosing/playing it is called researching. Even then, sometimes the "better" choice is not even the highest "valued" card. 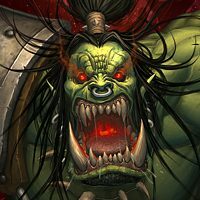 If Blizzard somehow decided it would be a good idea to host an Arena tournament at Blizzcon, do you think that they would allow Crutcharena? No. Any tournament ruling would consider it outside information and ban it.' Because outside information that influence your decision making are pretty standard cheating practices in card games. Of course it doesn't matter because Hearthstone and arena aren't competitive. Arena drafting gives you all the time in the world to choose a card you could draft 1 card a month and do research for the rest of the month between picks if you so choose. Even if HearthArena didn't exist a person could go on forums and get advice from everyone on the internet between every pick. Blizzard has not implement a timer to force a draft so it is fair game to get advice on your picks as you can stop after every pick and in theory draft 1 card a year and eventually complete a deck in 30 years with all the internet giving you advice for every pick. 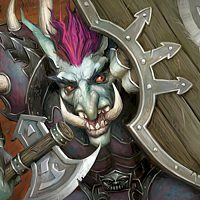 Deck Tracker does not you banned from playing Hearthstone even though its not allowed in tournaments. Same thing can be said if they do an Arena Tournament. Stuff like HearthArena is ok for Non Tournament play but Tournament rules can ban it. Tournament are different animals with their own set of rules. If anything, it can make you WORSE player - if you are a noob and blindly follow its suggestions without taking time to study WHY. Yes, it will build a deck for you, which you still need to know how to play. But, once you draft 30 cards, the site literally tells you what kind of deck you have and how to play it. I wonder how many people would object to a tool that tells you optimal plays mid-match (based on statistics), because it's the same principle. Sure, if you have no concept whatsoever about how your deck flows. When Portals were running rampant, nearly every Mage deck was considered "Control" by the algorithm's definition. The truth was, they weren't. You could draft aggressively with 3-4 Portals/Flamestrike and it would call it control. You draft a Warrior with no weapons, just a higher mana curve, it would call it "Classic Control" when you really don't have these so-called control tools. It's just a slow deck. So it's fine because the execution of it is bad? (But Firelands Portal actually makes for a solid control card, it's flexible like that.) It's bound to improve, if they decide to build on it. Or something better will replace it. I'm talking about the idea of it, and the next logical step for this idea. How much more human error can be removed from HS before it becomes pointlessly autonomous? Frankly I think tools like HearthArena are detrimental to the game, although I don't consider it cheating and I understand why people use it. It's perfectly legitimate to want to provide a tool to assist people in making gameplay choices, but the end result is that it somewhat automates the process and artificially inflates players' results beyond what they normally would achieve. This is especially the case for worse players, effectively making the game a bit more difficult for better players who may not get much/any benefit out of such a tool and overall flattening the distribution of wins across the playerbase. I prefer a situation where everyone learns naturally and plays according to their own innate abilities. But of course in this day and age you can't really avoid all the guides/tools/etc available for popular games online. For MOBA's, for example, you can easily look up the top builds for any character. 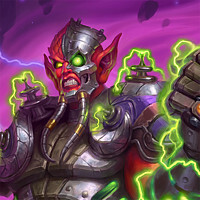 The difference is that your performance with the character is based far more on your realtime skill with apm, map awareness, combos, etc, whereas with Hearthstone, the quality of the drafted deck plays a significant role in its performance, and thus tools that can effectively build good decks for you end up having perhaps an undesirable amount of influence. Imagine a chess game where each player had a master chess helper app telling them the best next move given the board state. This is an extreme example of course, but I see the Hearthstone/Heartharena relationship somewhere between this and the moba example. as a player with experience of over 100+ arenas just doing ungoro you need to make that call and what you expect in the meta. EG eater of secrets it's rated super poorly in Heartharena app but the meta is VSING MAGE AND PALLY how u deal with counter spell or get away kodo on a key minion. that is the meta you need to play your best and make those judgement calls it gives you that tech card edge vsing a arena predominate in those classes. If you haven't figured this out yet young grass hopper you still have a lot to learn. Cheating? Maybe. It does give an advantage to new player, but it's an advantage available to ALL players. Since many players use it already I would highly suggest new players use it as well, otherwise it can be very hard to determine card value for arena if you are used to other play modes. It is true the advantage starts to wear thin over time, so it's more like a mediocre coach. You'll do much better with a coach when you're getting started, but eventually you'll need to know when to ignore the advice and go with what you know works. 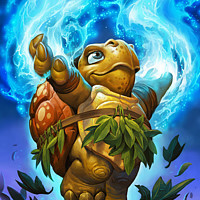 The drafting stage is the best/most unique aspect of arena and it is literally just a series of choices, so any program that “helps” you make those choices is an external advantage which erodes that element of choice. People want to spend time researching, developing strategies, testing, adjusting etc go ahead - that’s how you get good at strategy games, not by calling someone else in to “help” you make every single choice. This is the one and only reason I do not play arena. Had tons of fun in beta routinely going somewhere between 2-3 and 7-3 but have basically stopped playing over the last few years because I noticed as Heartharena became more popular it became harder and harder to win games. Still love HS, but the cheating - sorry, external assistance with key decision making - has really ruined arena for me. Just for a little context, I was once playing in a high-level limited Magic: The Gathering tournament. A guy at the table was drafting with his buddy standing beside him giving him advice and helping with his picks. The player was warned once, then disqualified from the tournament. 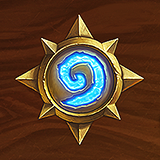 Do they allow Heartharena in HS limited tournaments? I have no idea, but I would be absolutely shocked if they did. Think for yourself guys, if it feels unfair it probably is. Don't necro threads, but I agree with you somewhat. 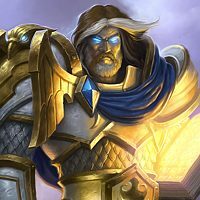 I used to argue a lot against apps like heartharena, but most people here agree that it's good for arena, you will just get downvoted to oblivion. It's definitely not cheating though, read shuyin's post. But not everyone uses heartharena and that doesn't make it the reason why arena is so trash. People can still draft good decks while zealously following what the third party program suggests and still do poorly. And the drafting stage now isn't as unique as it used to be due to people complaining about the lack of synergy cards and wanting arena be another constructed game mode. I wouldn't really care as much if there wasn't a leaderboard, but there is. And some of the people who always consistently get on the top are streamers, and they always use heartharena.